Most people understandably choose April to September to walk the Cape Wrath trail, but is it possible in winter months? My first two expeditions along the Cape Wrath Trail were both in winter, mainly because it was the only time I could get enough leave from work to tackle it. The first expedition had to be aborted after just a few days because of a ferocious storm, and during the second expedition we endured some of the coldest winter temperatures seen in Scotland for 20 years. So I guess the answer is that winter expeditions are feasible, but you'll need to be very well prepared and realistic about the prospect of completing it. Here are a few things to consider if you're planning a winter trip. Be realistic about daily distance I've made the mistake of planning overly ambitious winter days and lived to regret it. 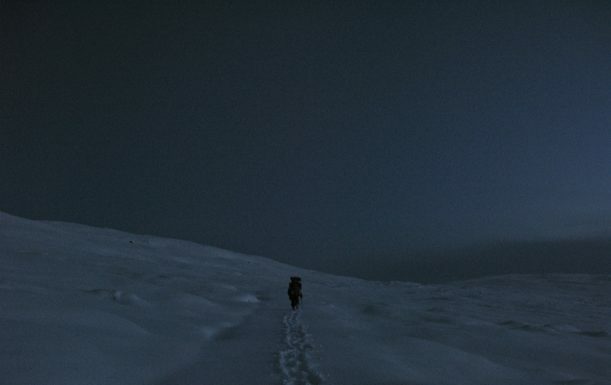 The main limiting factor is daylight - you'll only have 6-7 hours in midwinter and even if you start and finish with a head torch you need to be realistic about the amount of ground you can cover. I've found that over most of the trail around 20km is a good guide for winter days. It's also wise to have an escape plan for each day. Expect bad weather The likelihood is that you'll get at least one severe depression coming in during a winter expedition bringing heavy rain and high winds. Sometimes these storms make walking, even at low levels, difficult and dangerous. It's best to build in enough flexibility to your schedule to allow for a day holed up in your tent or a bothy. Allow time for river crossings In winter, water levels in rivers are generally higher, and this means you need to allow for extra time to cross rivers that might be straightforward in drier conditions. In particularly bad spate conditions, you might have to wait for some hours until it's safe to cross certain rivers. Take the right kit This might sound obvious, but winter conditions in Scotland can often catch out people who aren't used to them. In particular you'll need to balance weight with utility. The few grammes you might save on a lightweight waterproof will soon seem ill-advised if it wets out after a day's torrential rain. Allow time to get kit dry A long expedition in winter conditions makes it very hard to keep your kit dry. It can be especially demoralising if everything is wet, so allow for a few stops at places where you'll be able to dry out your kit - it will make a huge difference to your morale. Be self-sufficient Accommodation is limited along the Cape Wrath Trail even in summer, but in winter many places close. This means you'll have to be largely self-sufficient and carry significant amounts of food. Bothies will also be more tempting in winter. Are you planning a trip along the trail this winter? Let us know in the comments and we look forward to seeing your expedition reports in the forum.